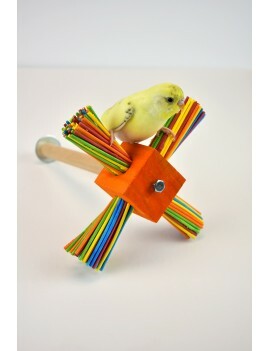 Wooden perch with windmill celebration toy to give your bird a lot of fun when sitting on the perch. 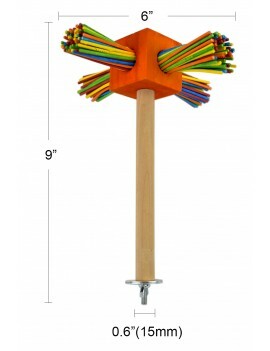 It is good for small to medium size birds, such as budgie, lovebird, parrotlet, linnie, cockatiel, conure, quaker, caique, ringneck, senegal, etc. 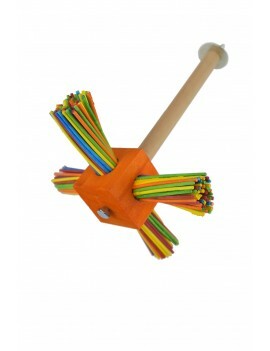 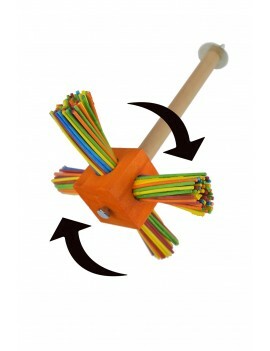 - The bird toy is suitable for small to medium size birds, such as budgie, lovebird, parrotlet, linnie, cockatiel, conure, quaker, caique, ringneck, senegal, etc.